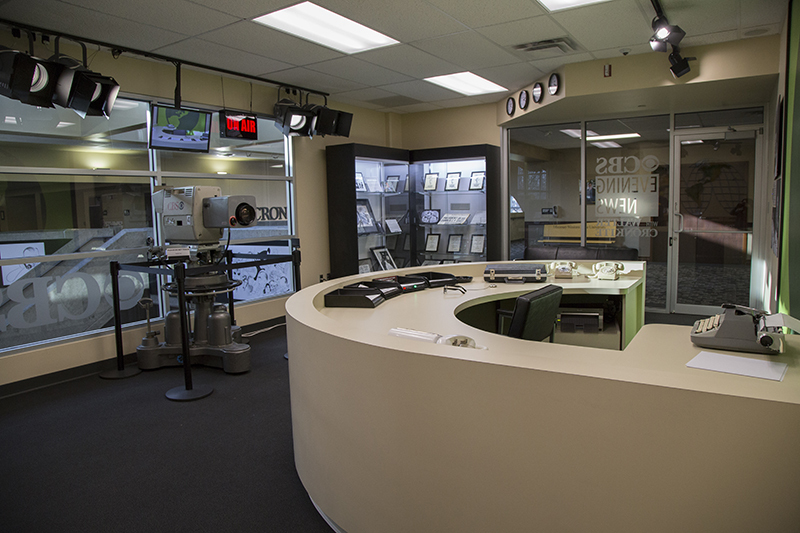 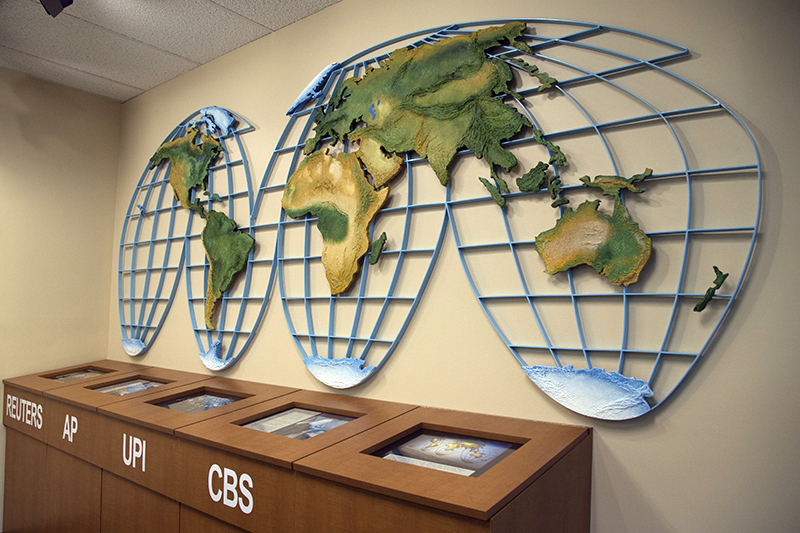 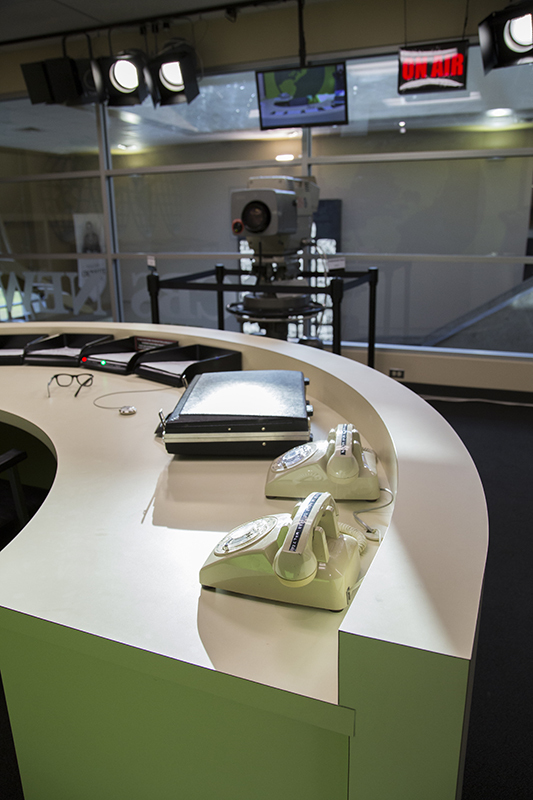 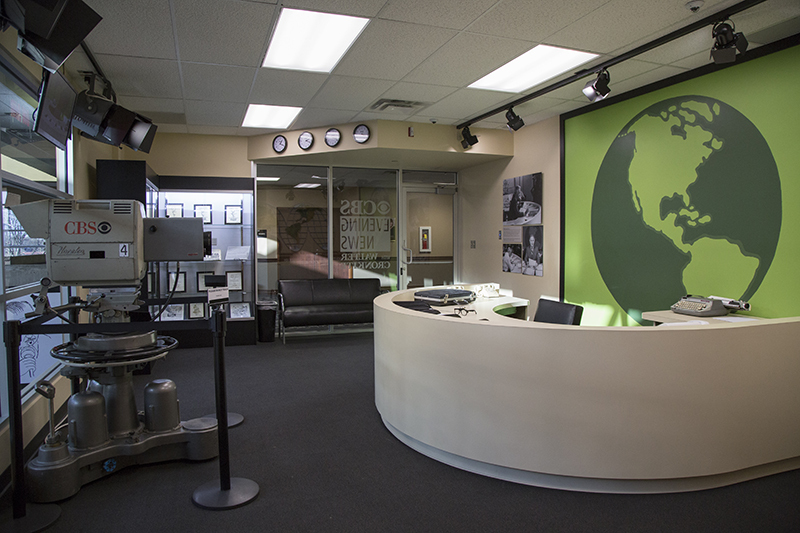 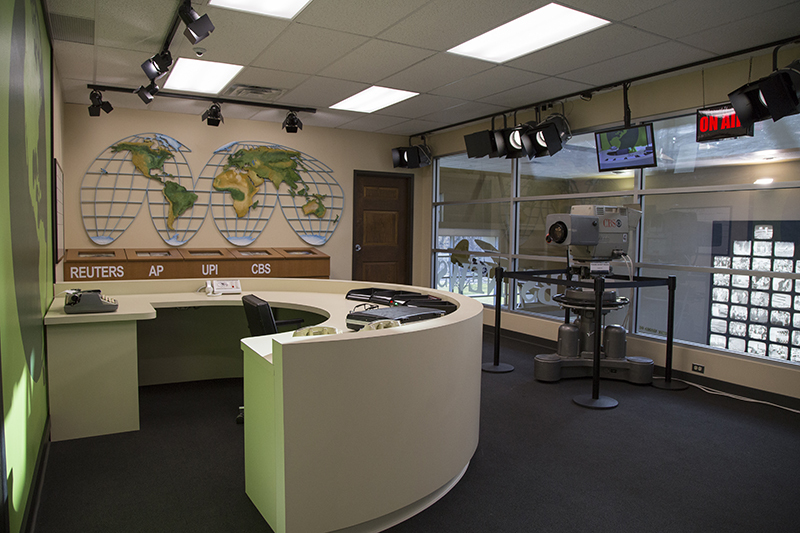 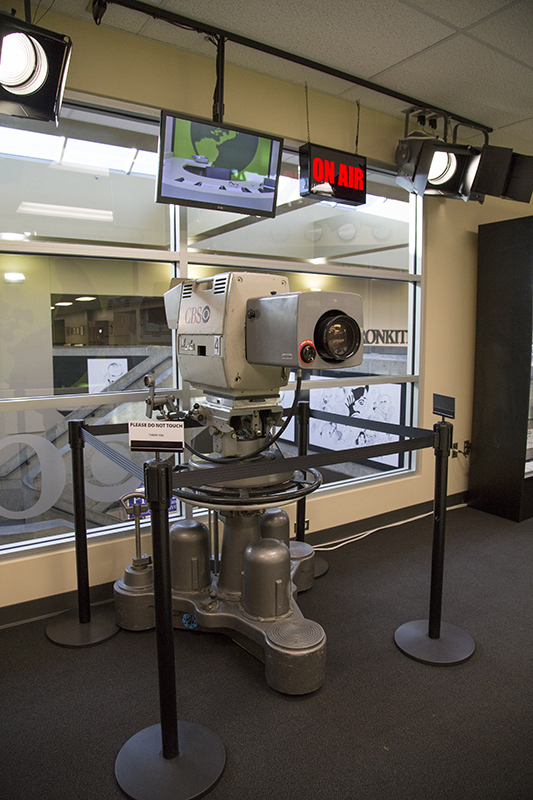 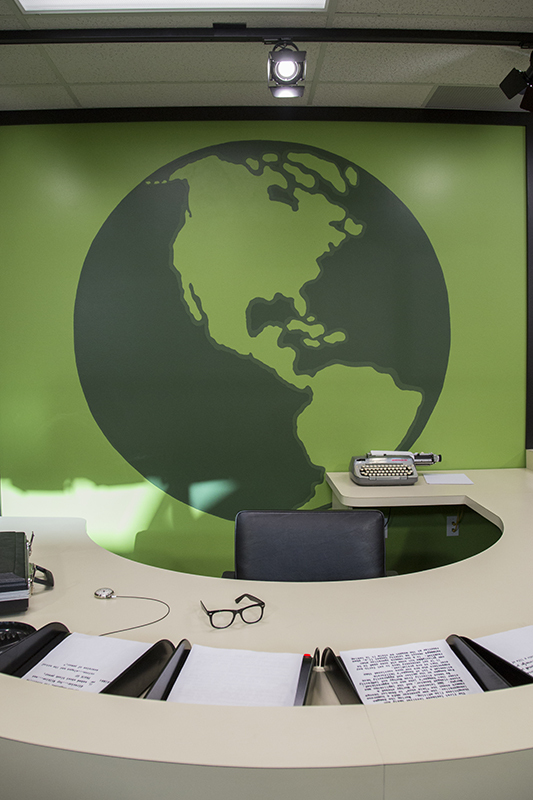 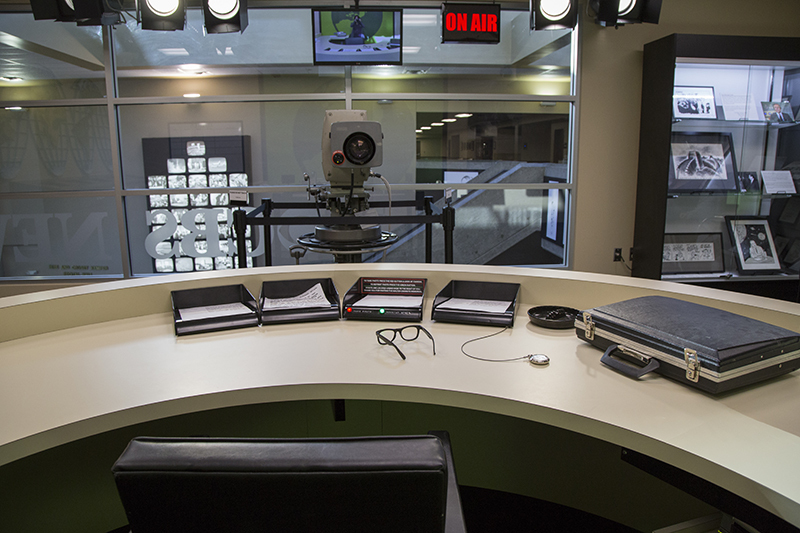 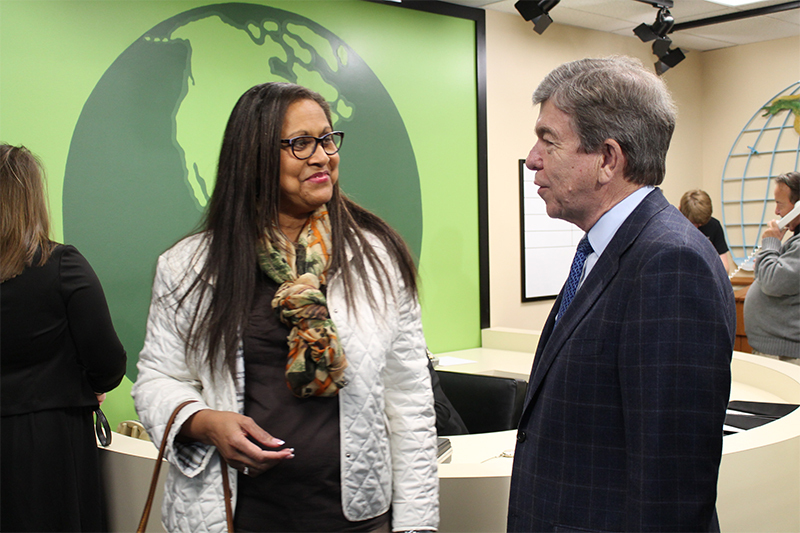 Take a 360° virtual tour of the CBS newsroom replica. 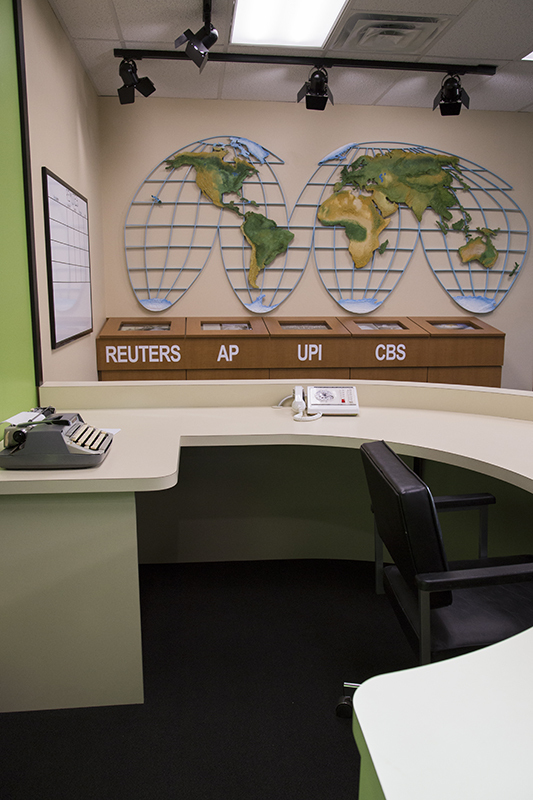 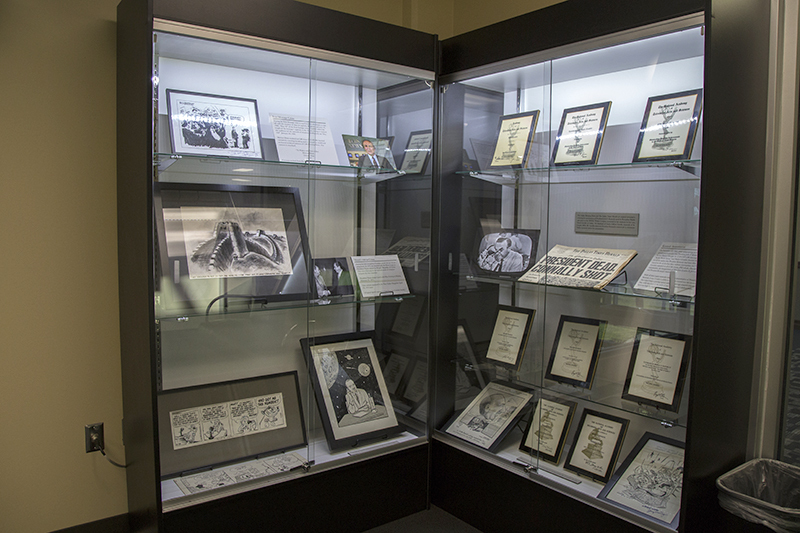 The newsroom is a replica of the CBS newsroom from which Cronkite broadcast the CBS Evening News in the late 1960s and early 1970s. 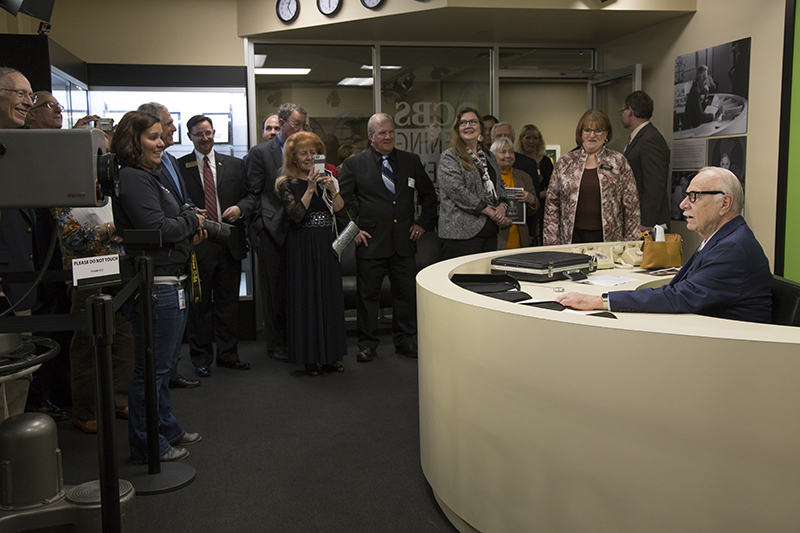 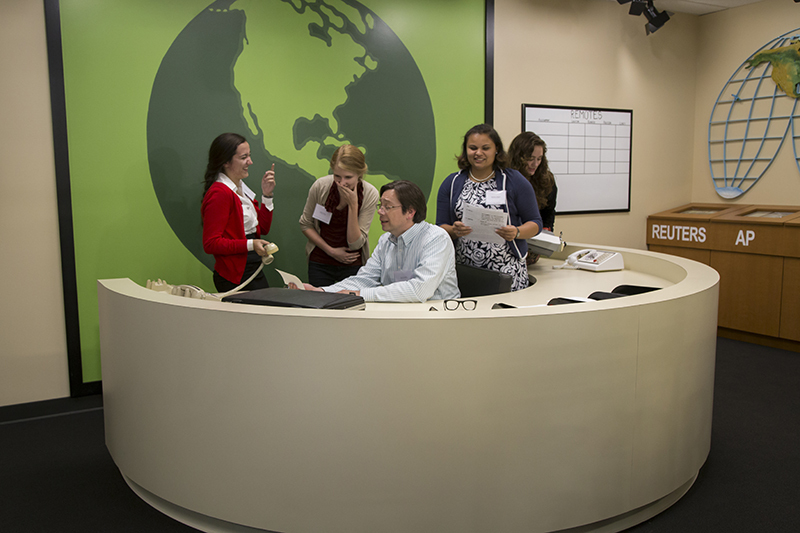 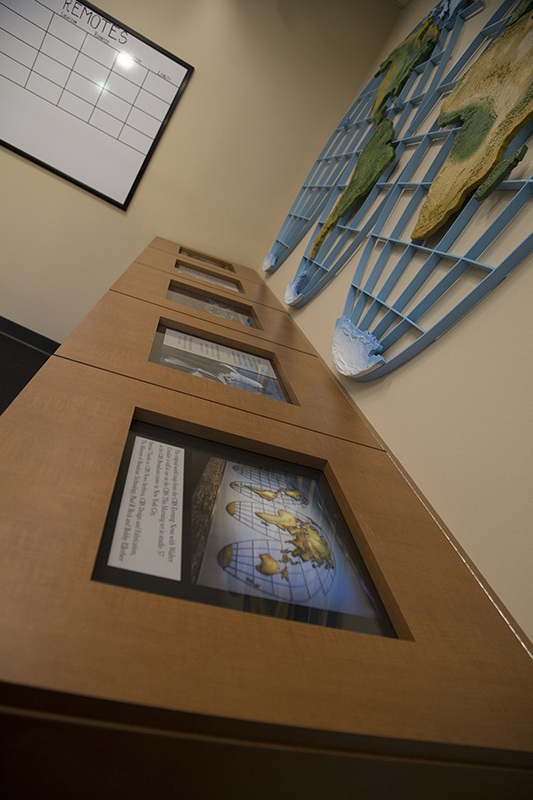 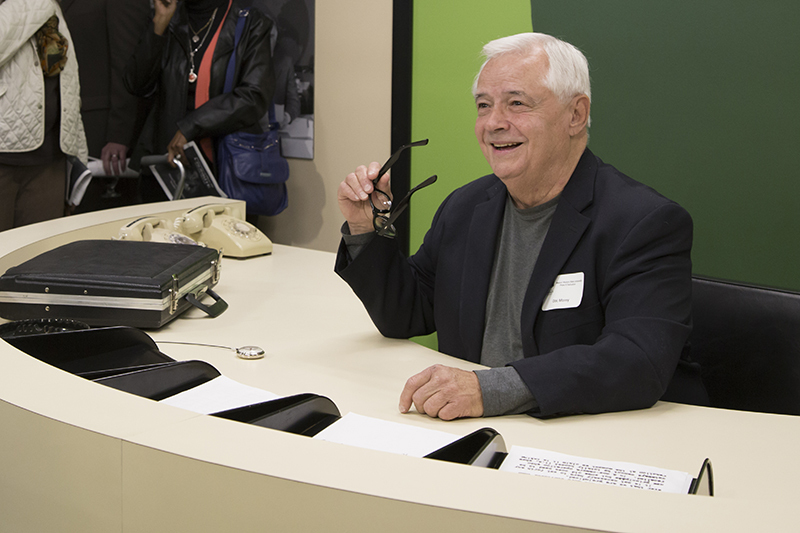 Visitors to the newsroom are able to sit behind a replica of Cronkite’s famous news desk and have their picture taken.